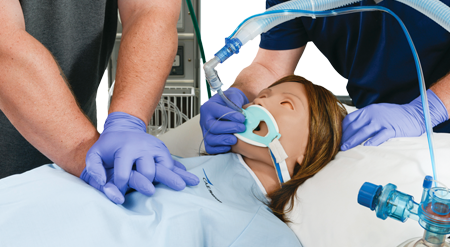 CAE Healthcare is setting a new standard in female patient simulation. Meet Athena™, the world's most advanced female patient simulator. Athena elevates experiential learning by enhancing both technical and non-technical clinical skills, delivering the fully immersive experience that we expect from patient simulation. With highly advanced lungs, Athena can respond automatically to mechanical ventilation, trigger a ventilator and demonstrate increased peak inspiratory pressure. Provide your learners with improved confidence, competency and clinical judgement in the treatment of female patients. 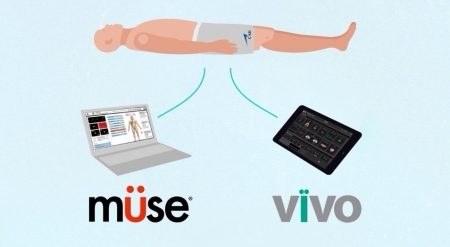 Alternate between the Müse model-driven physiology or the Vïvo platform for full facilitator control over all of Athena’s patient parameters and responses. Each Athena patient simulator will include both platforms, allowing facilitators the flexibility to choose the right platform for their learning environment. Athena features five preprogrammed Simulated Clinical Experiences (SCEs). The scenarios include learning objectives, facilitator’s notes, equipment and supply list and software application. Athena offers advanced airway management, comprehensive cardiovascular education and integrated CPR performance metrics that are compliant with American Heart Association 2015 guidelines.